I just made list.rs public! It&apos;s my first ever script in #rust, aiming to create a tool that&apos;s a mix of "ls" and "tree". 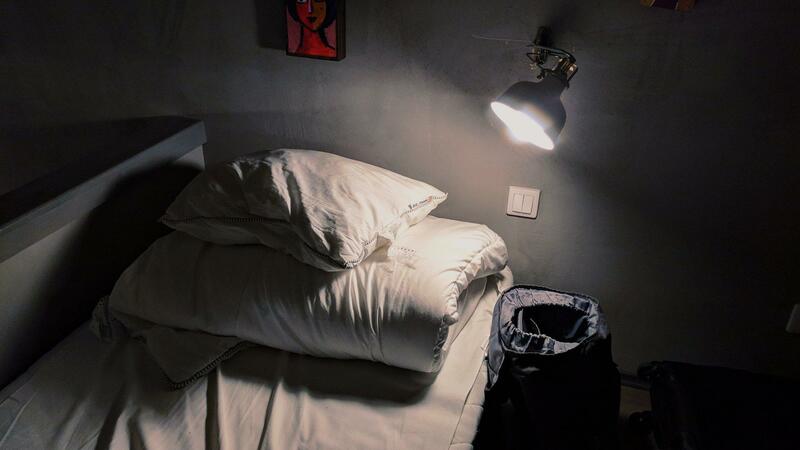 My bed in Budapest last week. Enjoyed my stay, even it it was for work. For International Holocaust Remembrance Day, /r/unexpected is full of images of people who died during the Holocaust instead of the usual memes and fun stuff. Truly unexpected and - imo - a great move by the mod(s). The instance was not reachable because the SSL certificate expired and the renewed cert was not applied automatically. MicroUI will be shipping in v0.8.0 next week. I&apos;m unable to find my @pixelfed account from Mastodon. Is federation not yet live? If I search for "pixelfed.social" I can see a few profiles. Reminder that if you're one of the 12 million people using @npmjs@twitter.com in any way, you're using software by queer and trans people. He was having a #dnb Party in his house. What a legend! I want to post more stuff to #pixelfed and generally use it more. If you&apos;ve an account let me know! Looking for people to follow who post more or less regularly. Had Domino&apos;s for the first time tonight and it was one of the worst Pizza I&apos;ve ever eaten; 1/10 wouldn&apos;t recommend.